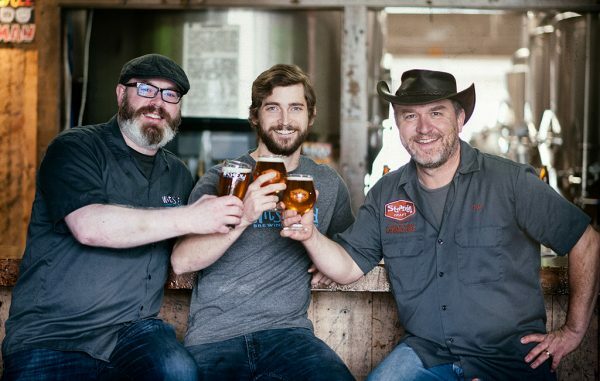 As of Jan. 1, the beers brewing on a Zuni Street property will be witty and strange. 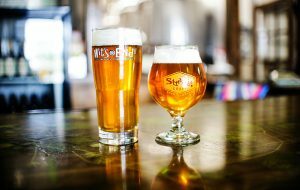 Amid a boom in new breweries in recent years, Wit’s End Brewing Co. announced last week it will close its southwest Denver taproom at yearend and move into Strange Craft Beer Co. at 1330 Zuni St.
Tim Myers, co-owner of Strange Craft, said that the move will help the two breweries share space and business resources. They will remain separate, but will share production equipment, taprooms, ingredient orders and distribution networks. The move is unique in Denver’s beer scene. Both companies will continue to produce and sell their own products under one roof using the same equipment. “It’s something I’ve thought about for a long time. Let’s take advantage of (those resources) and reduce our costs,” Myers said. He estimated the combined space would save the two breweries $100,000 in overhead costs in one year. Scott Witsoe, owner of Wit’s End, is hoping to sublease his 2,700-square-foot brewing space at 2505 W. Second Ave. He said there are two years left on its lease. The location comes with all the necessary equipment, which could help cut down the opening time for a new brewery. “There’s really not a whole lot to do except apply for the licenses or file a change of address,” he said. Myers, who was the head brewer at Strange Craft, will move into distribution. Tyler Bies, the head brewer at Wit’s End, will run the position for both companies. Wit’s End beers were almost exclusively found in its taproom, but now the company can expand into Strange Craft’s distribution network. Myers said Strange Craft has between 60 and 70 rotating bar and restaurant accounts. Strange Craft’s taproom has space for 35 to 40 customers and a large outdoor beer garden. It recently renewed its lease at the Zuni Street location for another five years. Myers first opened Strange Craft in May 2010, before the brewery boom. A year later, Witsoe opened Wit’s End. Witsoe said that Myers acted as a mentor for him, helping navigate a industry in its infancy. Denver now has 70 breweries. The news of the combination taproom came shortly after Deep Draft Brewing Co. announced its closure in City Park West as it gets taken over by North Carolina-based Thirsty Monk Brewery and Pub. In July, Zephyr Brewing Co. announced it would close its RiNo taproom due to rent costs, opening a new production space at East 58th Avenue and Franklin Street. The rising competition in Denver’s beer market was a big factor for the two brewery owners deciding to combine. Witsoe said the industry growth has been great, but competition is starting to wear on sales. In the early days, location was not a big factor for brewers, he said. But now, it can be a key component. “It’s super cool to see that, but it does impact us,” Witsoe said. The Rackhouse in RiNo is another Denver brewing business to house two separate breweries. Bierstadt Lagerhouse and C Squared Ciders share a taproom and restaurant space. But unlike Wit’s End and Strange Craft, the RiNo brewers do not share production equipment. In addition to using production space on Zuni Street to make Wit’s End’s flagship beers, Witsoe will lease a small corner from Strange Craft to put in his own small pilot system. Witsoe will brew small 10-gallon batches to help keep his licenses current.